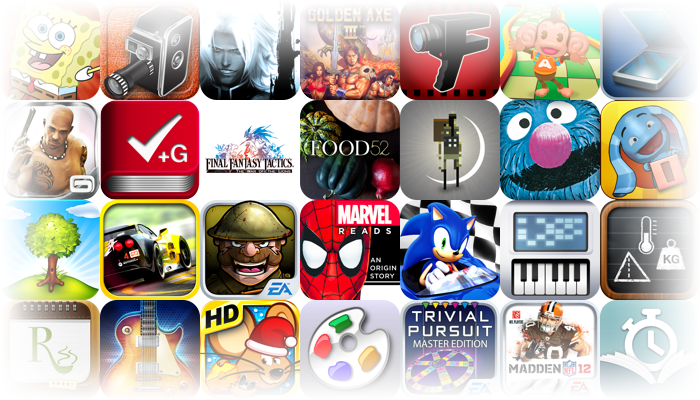 Popular iOS Apps And Games On Sale For A Limited Time - Over 180 To Choose From! 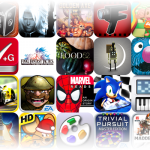 Just look at all of those great app and game deals below! Have you ever seen anything so magical? Today's sale list is jam-packed with never-before-seen deals on great games like Real Racing 2, Trenches 2, Madden NFL 12, Final Fantasy Tactics, and Gangstar Rio: City of Saints just to name a few. We also have some solid deals on books like The Amazing Spider-Man: An Origin Story and History of Rock, and a handful of recipe apps like FOOD52 Holiday Recipe & Survival Guide. Of course, there is also a wide selection of photography apps, and basically anything else you could possibly desire. Have at it! As always, an “*” next to a title indicates that this is its lowest price ever. Some of these fantastic deals are only valid through the rest of the day today, so grab what you want while you can.